The 16 Channel DVRs that we offer are suitable for any application, either it be a home, school, large business, warehouse, or retail store. 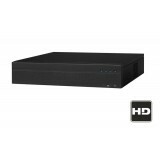 From our economical mini professional 16 channel dvr to the larger High Capacity Series digital video recorder, all allow easy video back up via USB to a flash drive, or over the network to a computer. Select models also have the option of adding a internal DVD burner. All of our DVR Recorders are networkable, allowing easy access to your video security system from anywhere in the world.